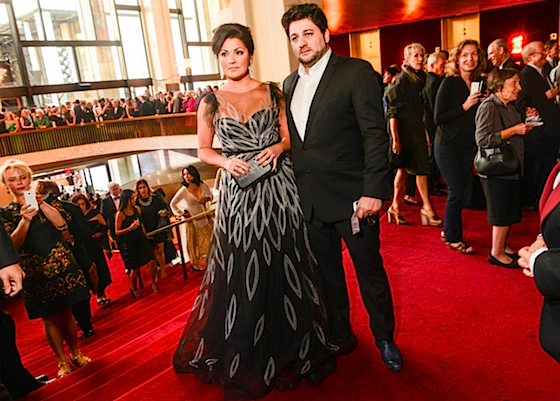 Opera Fresh: Vogue Covers Opera Fashions On MET's Opening Night "Figaro"
Vogue Covers Opera Fashions On MET's Opening Night "Figaro"
Pre-Nozze: Anna Netrebko and soon-to-be-husband Yusif Eyvazov at opening night festivities. 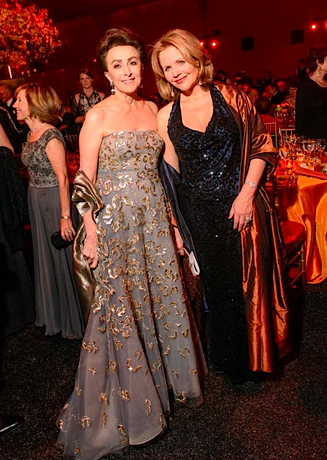 Vogue photographer Hannah Thomson was at the Metropolitan Opera's Opening Night Gala. The evening featured a performance of Mozart's Le Nozze di Figaro. Evening attendants included Maggie Grace, Zac Posen, Vera Wang, Grace Coddington, Josh Lucas, Christine Baranski, and more. See the full gallery of the glamorous night by clicking here.